The first direct flight of the EgyptAir MS729, in two and half years, has taken off in Cairo at 9:30am (CET) from Cairo International Airport’s Terminal 2 and had headed to Moscow’s Domodedovo airport, the Cairo airport said on Thursday (April 12, 2018). There are more than 100 people on board of the aircraft. The flight made a scheduled landing at 14:50 Moscow time (11:50 GMT). 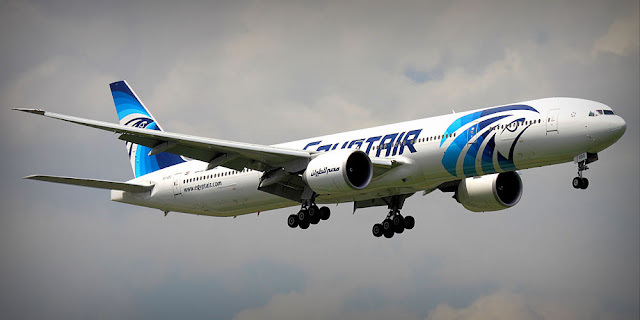 A spokesman for the company said EgyptAir will be operating Airbus A320 flights to the Russian capital three times a week: on Tuesdays, Thursdays, and Sundays. 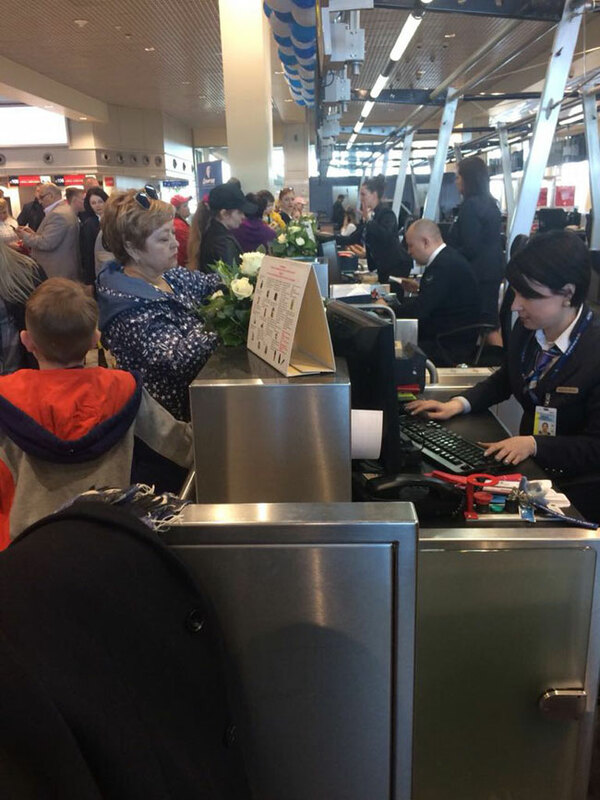 The first flight - Aeroflot SU400 - took off from Russia's Sheremetyevo International Airport on Wednesday (April 11, 2018) at 10:50 pm Moscow local time with more than 120 passengers, and arrived on Thursday at 12:25 am Cairo local time. Image Attribute: Moscow-bound passengers at Cairo International Airport on 12 April 2018 / Source: Egyptian Ministry of Civil Aviation. Cairo airport authorities announced on Wednesday a state of emergency in preparation for the arrival of the first flight of Russian Airlines. Russia suspended flights with Cairo in October 2015 when a Russian passenger plane Kogalymavia/Metrojet Flight 9268 exploded over the Sinai Peninsula after taking off from the popular tourist resort Sharm el-Sheikh. The blast was caused by a 1 KG-TNT bomb placed on board. Russia’s Federal Security Service (FSB) later designated the incident as a terrorist attack. On December 15, 2017, Russian Transport Minister Maksim Sokolov and Egyptian Minister of Civil Aviation Sherif Fathi signed an agreement to resume passenger flights between their capitals, which was supposed to enter into force in February. Aeroflot and EgyptAir are the only airlines scheduled to operate regular flights between Russia and Egypt. Both plan to carry out three weekly return flights. As a precondition for the resumption of flights, Russia called for considerably tightening security measures at Egyptian airports. It took two months to resolve technical issues and ensure the presence of Russian security personnel at Cairo airport. According to the sources, a new round of talks between the two countries is set for later this month to discuss resuming charter flights from Russia to the Red Sea resort cities of Hurghada and Sharm El-Sheikh.